If you’re an experienced traveler, you probably know everything about how to plan the perfect getaway. But, whether you’re flying solo or with a partner, the worst thing that can ruin any trip is jet lag. Jet lag doesn’t mean you are feeling kind of tired: it means your sleep schedule, appetite and energy levels are out of whack. You tend to wake up at odd hours and feel hungry at erratic times. Unfortunately, this could last for several days. To overcome jet lag quickly, don’t just hit the bed. You want to adjust your sleep/wake cycle to the new time zone as soon as possible. 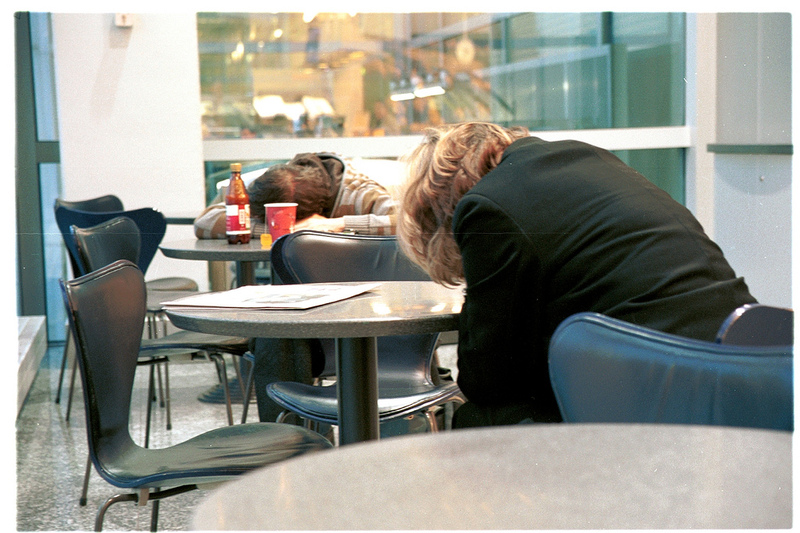 To stay alert, you can take jet lag supplements, drink plenty of water, and get plenty of sun. Soon you’ll be full of energy to explore your vacation spot and you’ll be able to collapse in bed and sleep throughout the night. Traveling involves a lot of sleep loss. You’re either rushing to get a flight, sitting restlessly on an airplane for hours, or walking around a new place. It’s hard to soak in the beauty of a new area when you’re too exhausted to function. A great way to avoid the upcoming stress and exhaustion is to take a jet lag supplement. Supplements that help with jet lag contain a mix of vitamin B (B2, B6 and B12) to boost your brain function, as well as the amino acids L-theanine and L-ornithine that help regulate your circadian rhythm. Your circadian rhythm manages your sleep/wake cycle, and it easily gets unbalanced during travel. The added amino acids listed above help you adjust to the new time zone, so you will maintain your energy levels throughout the day, no matter what time it is back home. Click here to find a good quality jet lag supplement, as well as health tips and advice about your overall health. To keep energized, you should stay hydrated throughout your flight and keep drinking during your travels. Water helps you feel rejuvenated and also flushes out your system of toxins. Instead of drinking caffeine or soda to give you a burst of energy, water is way better for your health, as well as preventing you from getting dehydrated. Your risk being dehydrated is heightened when you fly, and drinking coffee and soda heightens the risk even more. If you land during the daytime, eat right after landing to give yourself a boost of energy to last throughout the day. Throughout your trip, remember to carry a bottle of water with yo, too, to help you maintain your energy levels and avoid dehydration. To acclimate to a new time zone, you should expose yourself to a lot of sun. The strong light of the sun adjusts your melatonin levels and helps you wake up. Melatonin is a natural hormone in your brain which increases as it gets dark. If you take a walk along the beach or around town during the day, soaking in the sunlight reduces the melatonin levels in your brain to keep you more alert and perk you up. You’ll want higher amounts of melatonin when it comes to bedtime so you can actually go to sleep and stay asleep according to your destination’s time zone. Also getting some exercise is an added bonus to help with jet lag. The more you move, the better your system will adjust. Instead of feeling sleepy and grumpy the first few days of your trip, beat your jet lag to avoid these unpleasant side effects of travel. You can start and end your flight with a jet lag supplement to help boost your brain function and adjust your wake/sleep cycle. Then, follow it up with a nice, hearty meal full of nutrients from fresh ingredients to keep you energized throughout the day. Remember to stay hydrated so you won’t feel the effects of fatigue hit you too hard, and go outside and get some sun to lower your melatonin levels. Follow these tips and your trip will go from good to great without the side effects of jet lag.